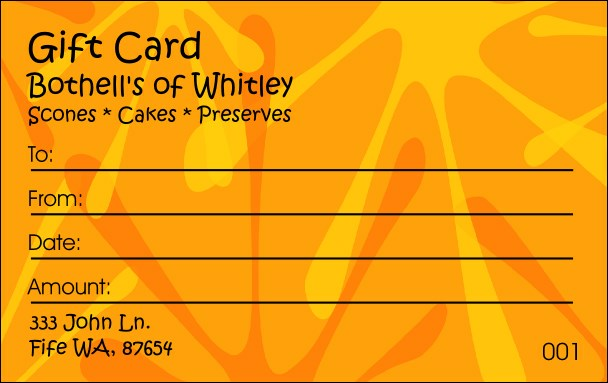 Get funky, get groovy, get TicketPrinting.com's Fun Orange Gift Card. Overflowing with style, this card will bring out the giving spirit in anyone and is bound to make your bottom line dance with glee. Fill in the template with your business information and we'll send them your way! If it's hip you want, it's TicketPrinting.com you need!